At the 60th Emmy® Awards, The National Academy of Television Arts & Sciences awarded “The Boy and the Bucket: A Fable” as “Outstanding Commercial – Single Spot.” The brand film was created by Fable, a branding and advertising agency in Richmond, Virginia, and was directed and produced by Stolen Moment Productions. David Neale, Founder & CEO of Fable, accepted the award at the gala held on June 23. The winning film can be viewed on Fable’s homepage. 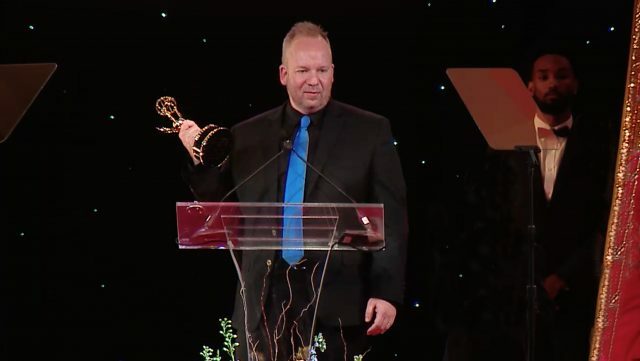 Fable Founder & CEO David Neale accepts the Emmy.